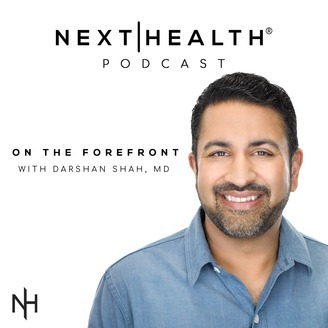 Dr. Shah and Kevin, sit down together to interview the best selling author and health influencer, Jen Cohen. Jen Cohen has written several books regarding the world of health and exercise including “No Gym Required” and “Strong is the New Skinny”. 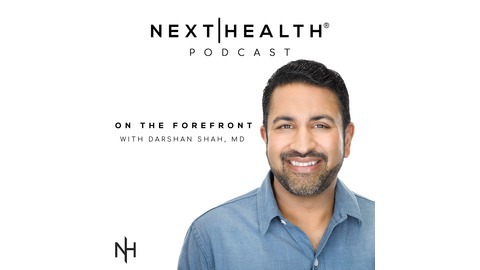 Within this episode, Dr. Shah and Kevin dive into Jen Cohen’s rich background as a fitness influencer and how she turned her passion into her job. Instead of following fad diets or exercise trends, Jen Cohen discusses simple alternatives that will make a huge difference when building healthy habits. When optimizing your health, it’s important to get an in depth look at your body with biomarker testing and other preventative measures. While everyone has different bodies and unique health struggles, the tests offered through Next|Health will show which areas that you need to improve on in addition to customized plans that are made just for you. Key Takeaway: Optimizing your health is a marathon, not a sprint. Consistently exercising, tracking progress, and building little habits will make a huge difference. Basic exercise is by far the healthiest thing you can do for your body. To avoid fad diets, analyze whether a diet or exercise is sustainable for your lifestyle. To truly optimize your health, you need to take biomarkers into account and examine things such as hormone levels, gut health, heart health, ancestry, etc. The only way to get better is to ask questions and learn from people who know more than you do.